What Do You Want To Know About Zero's Electric Dual Sport And Supermoto? 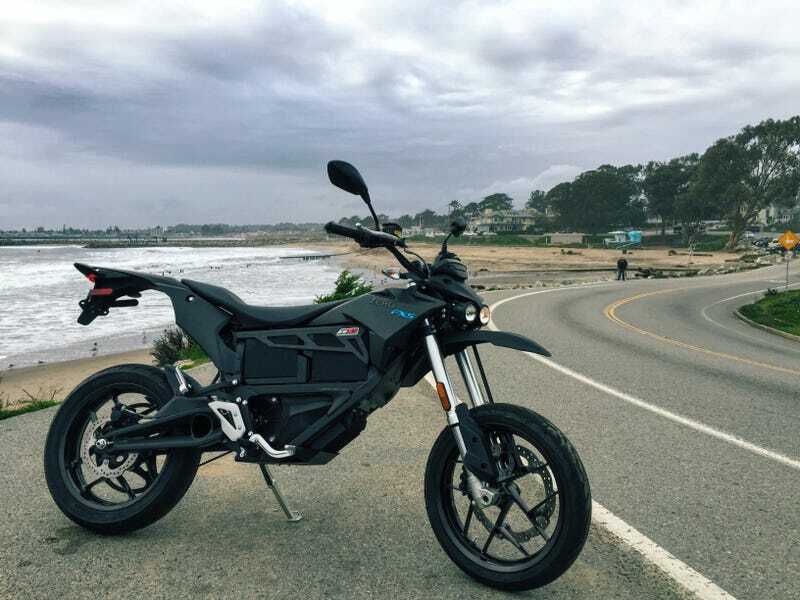 I’m in Santa Cruz, California near the headquarters of electric motorcycle manufacturer Zero to ride their new electric dual sport/adventure bike and new electric supermoto. What do you want to know? Yesterday, we spent the bulk of the day looking at powerpoint presentations and learning about how Zero added power and range, decreased charge times, lowered prices, and got the motor to run cooler. Tomorrow, we head out to ride some of the best roads in the state near the famous Alice’s Restaurant, with more time on both the DSR and FXS. So, if you have questions you want me to ask their staff, have things you want me to think about while I’m riding, or want to make suggestions on ways to get into more trouble with a bike making 70 foot-pounds of torque and weighing only 293 pound–now’s your chance. Just leave them in the comments below.